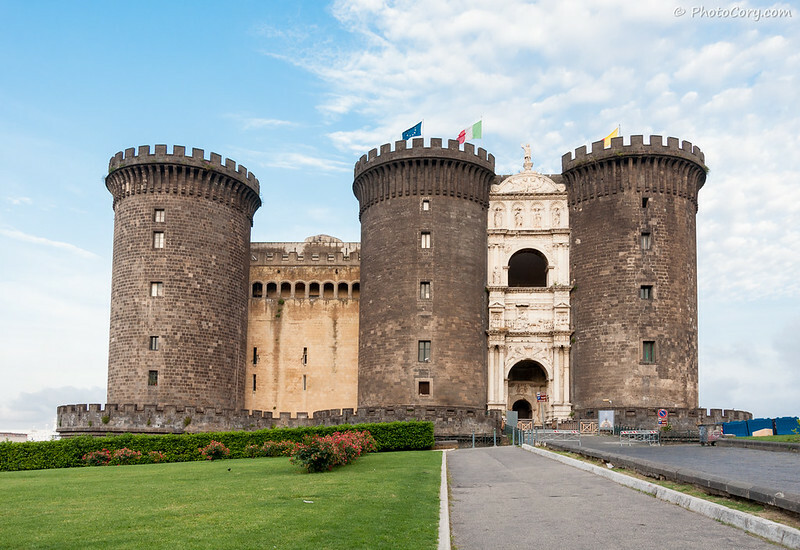 Naples is located on the West coast of Italy, just next to Vesuvius Volcano and is one of the oldest cities in the world. 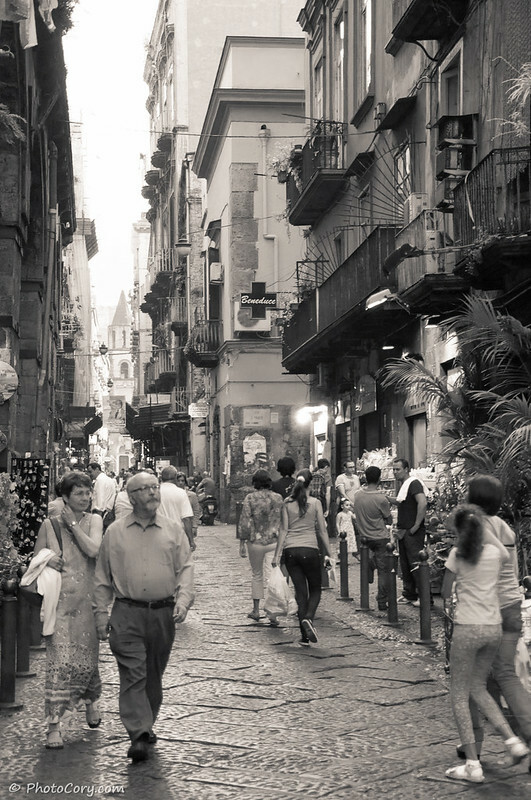 Naples is famous for the pizza and ice cream (gelato). 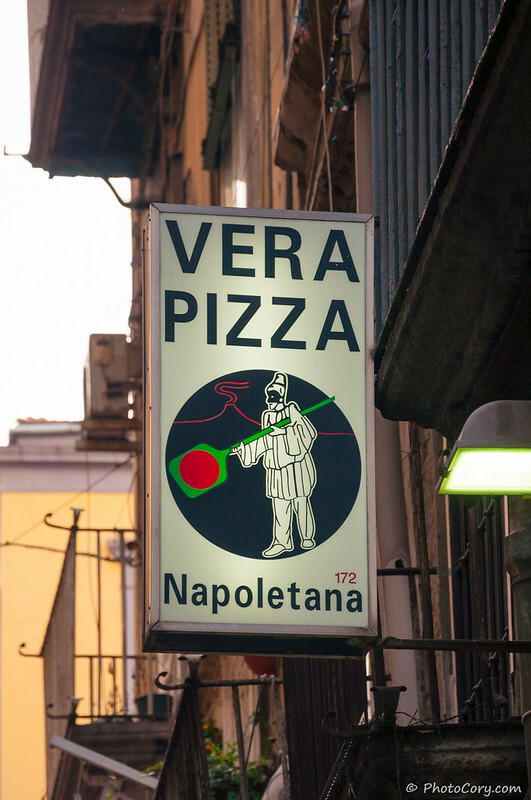 The travel guides recommend the pizzerias with the sign “Vera Pizza Napoletana” – authentic Naples pizza, freshly made in wood-fire brick oven. 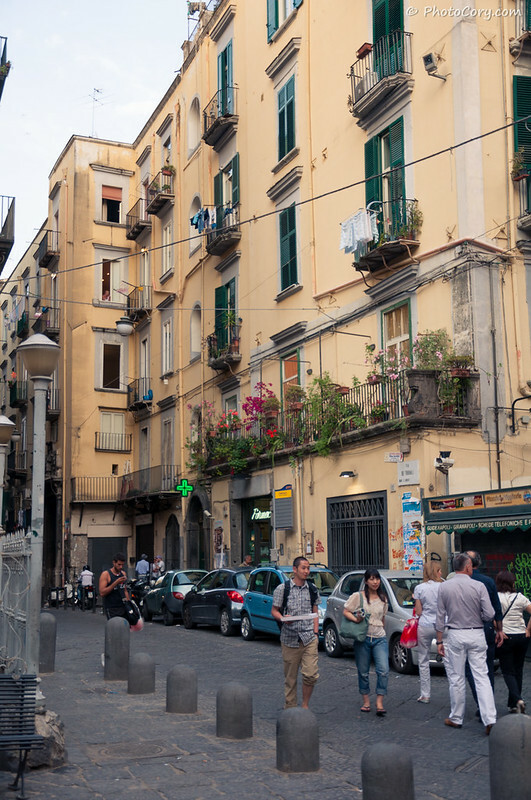 In the Historic Center of Naples I tried Limoncello, a lemon liquor produced in this region of Italy. 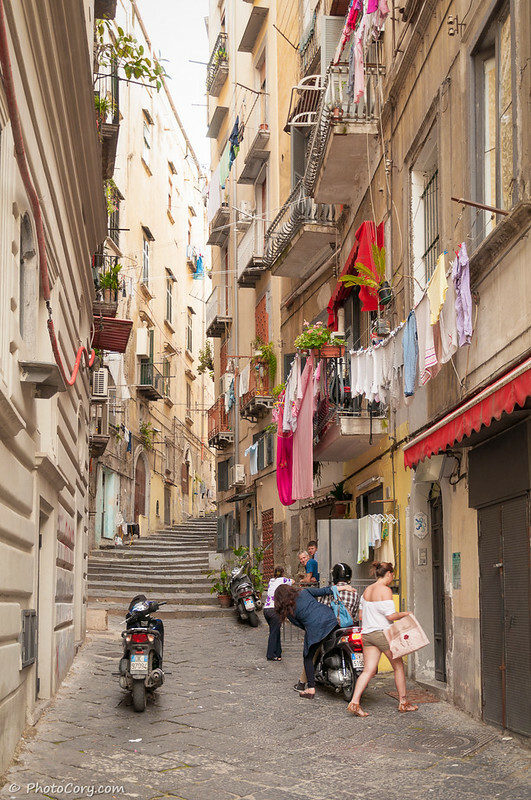 The streets in Napoli are narrow, paved with stones and the buildings are decorated with laundry hanging from the windows. 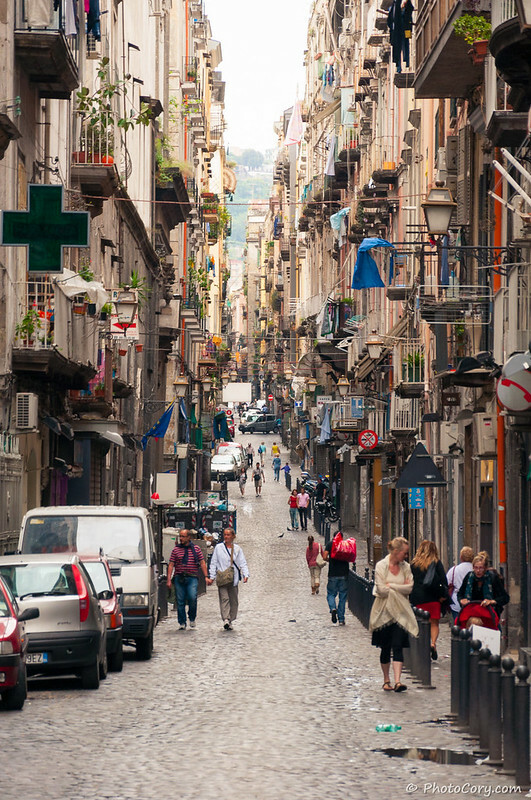 The Historic Center can feel claustrophobic, with no green spaces or parks, but it has an unique Italian charm. 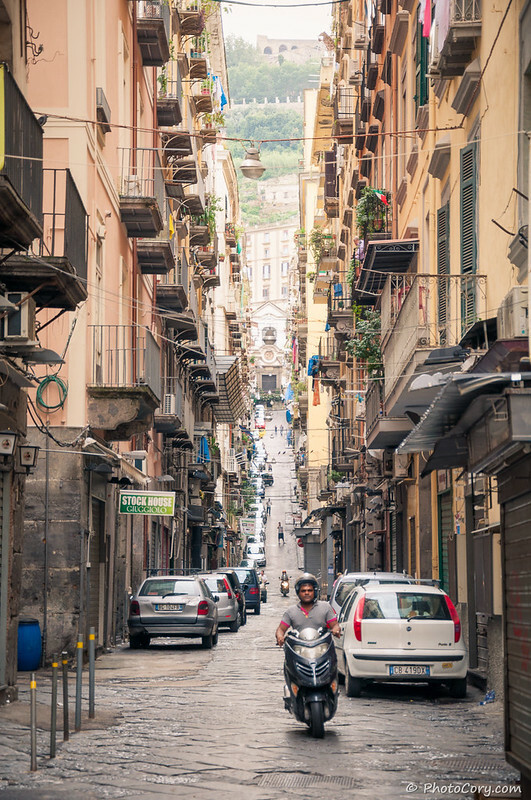 Italy for me is one of the most beautiful countries, with the most seductive language, and the Naples Dialect is very pleasant for the ears. 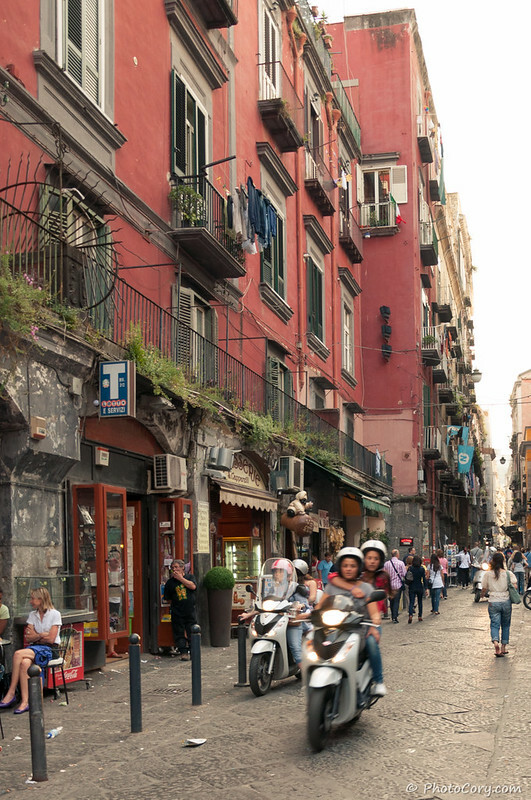 The garbage on the streets – which is a real problem in Naples – did not stop me from enjoying every second spent in this noisy, crowded, beautiful city! 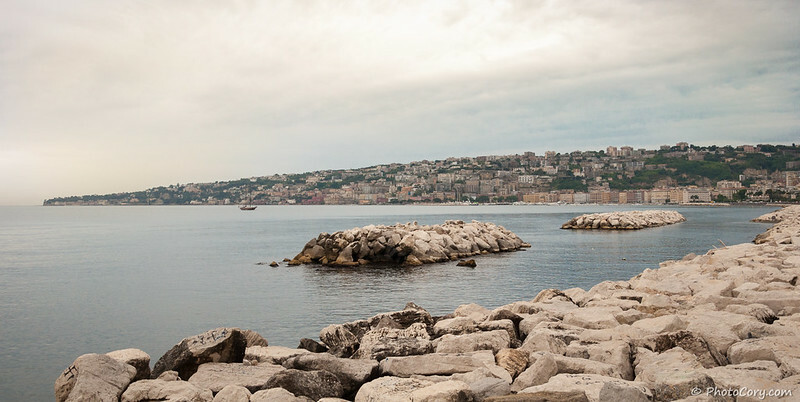 Napoli este unul din cele mai vechi orase din lume, datand dinainte de Hristos si se afla in vecinatatea Vulcanului Vezuviu, pe coasta de Vest a Italiei si are unul din cele mai mari porturi la Marea Mediterana. 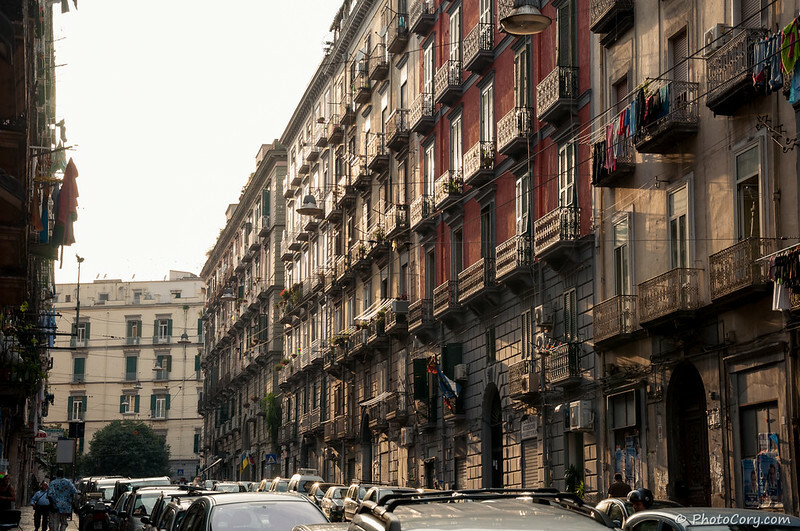 Napoli e faimos pentru bunatatile italiene: pizza si inghetata. Ghidurile de calatorie recomanda pizzeriile care au la intrare semnul “Vera Pizza Napoletana”, pentru o experienta autentica de lins pe degete, proaspat scoasa din cuptorul cu lemne. 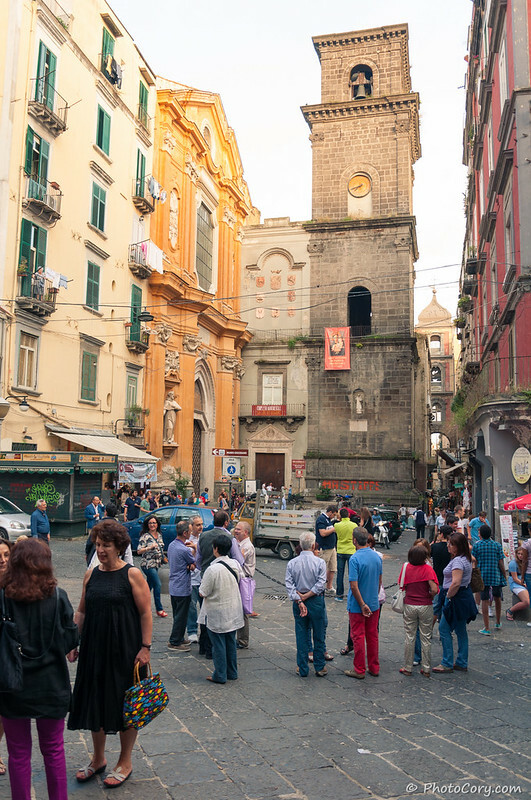 In Centrul Istoric din Napoli am degustat Limoncello – care este un lichior de lamaie, produs in aceasta regiune a Italiei. 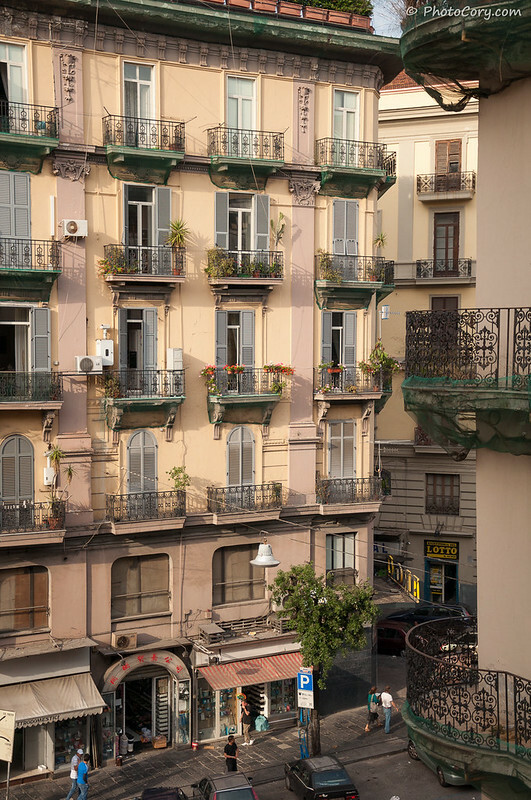 In Napoli simti cu adevarat spiritul Italian, cu stradute inguste si cladiri cu balcoane din care flutura rufe la uscat. Centrul Istoric e o jungla de beton si piatra cubica, claustrofob, fara spatii verzi sau parcuri, insa are un sarm de neegalat. 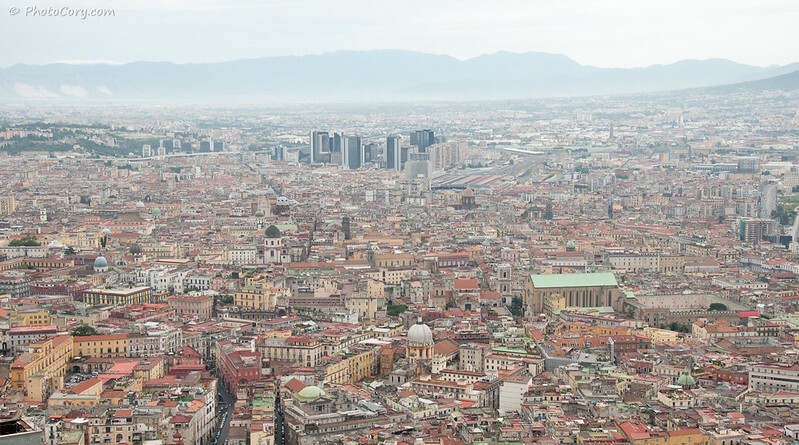 Italia este pentru mine una din cele mai frumoase tari, cu cea mai seducatoare limba, iar dialectul din Napoli este ca un puf placut pentru urechi. 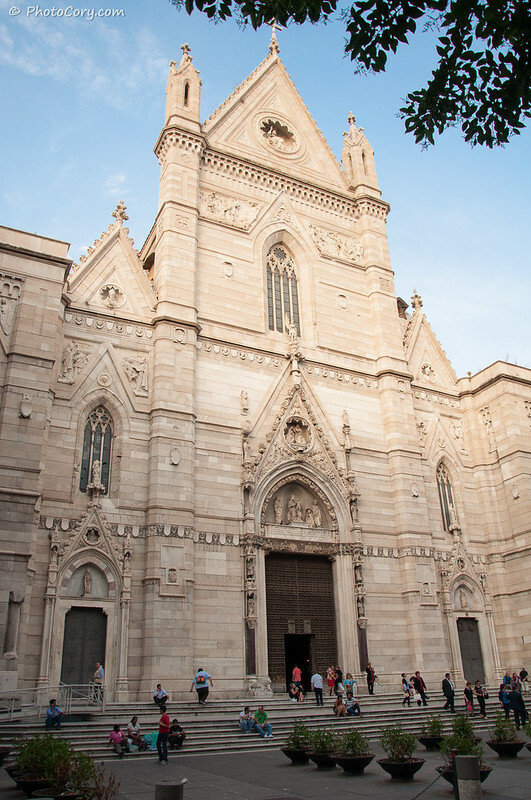 Am trait cu intensitate si fericire fiecare moment, in ciuda gunoaielor de pe strazi, care reprezinta o adevarata problema in Napoli. 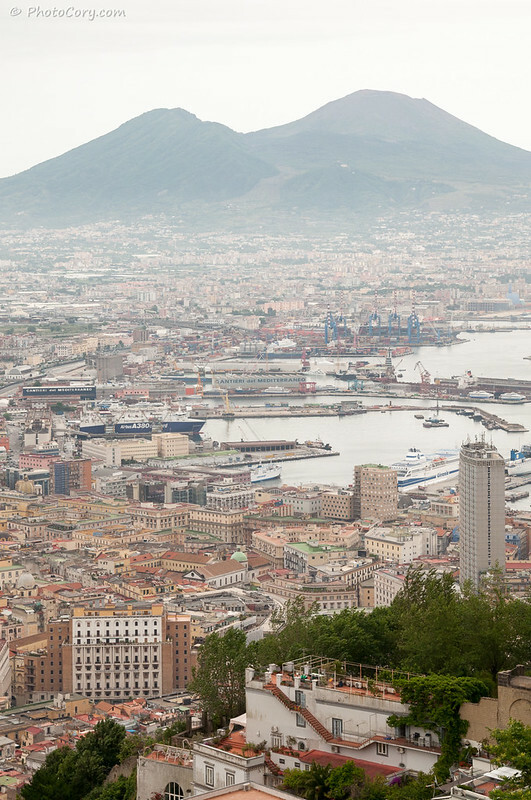 From Naples you can go on a day trip by boat to Capri Island or a day trip by train to Vesuv and Pompeii. 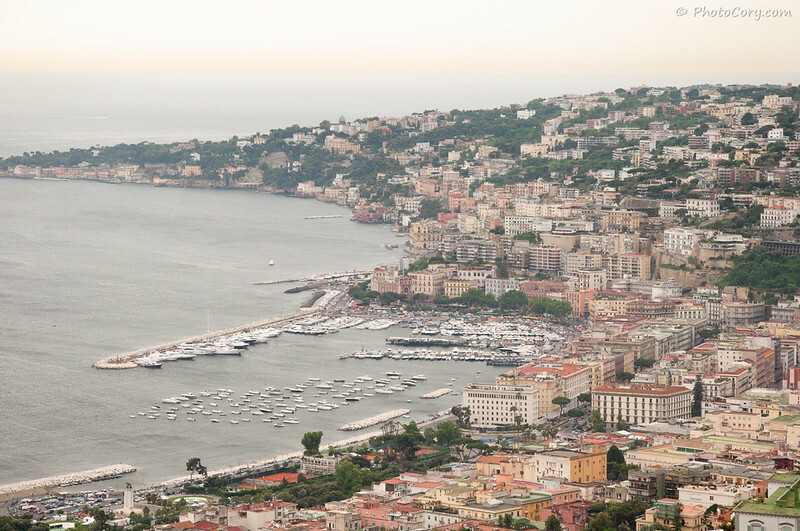 Close to Naples, on the Amalfi Coast, there are two nice cities to visit and spend a few days: Sorrento and Positano. 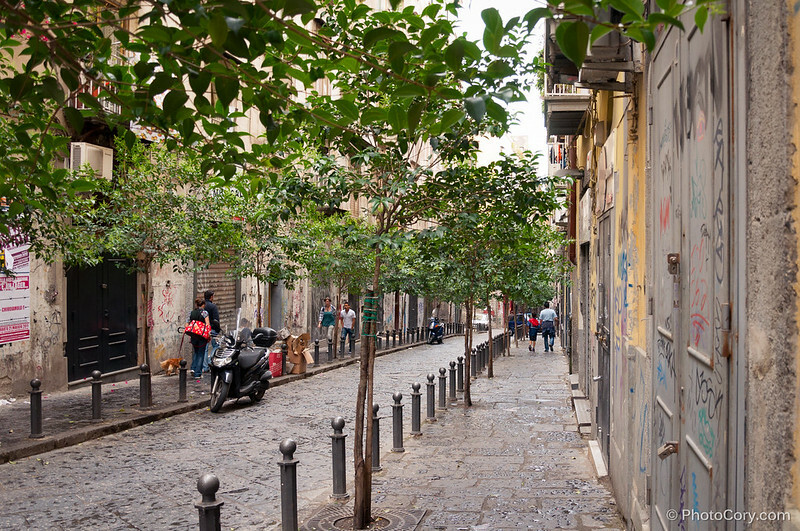 What a shame about the garbage – it’s such a beautiful city. 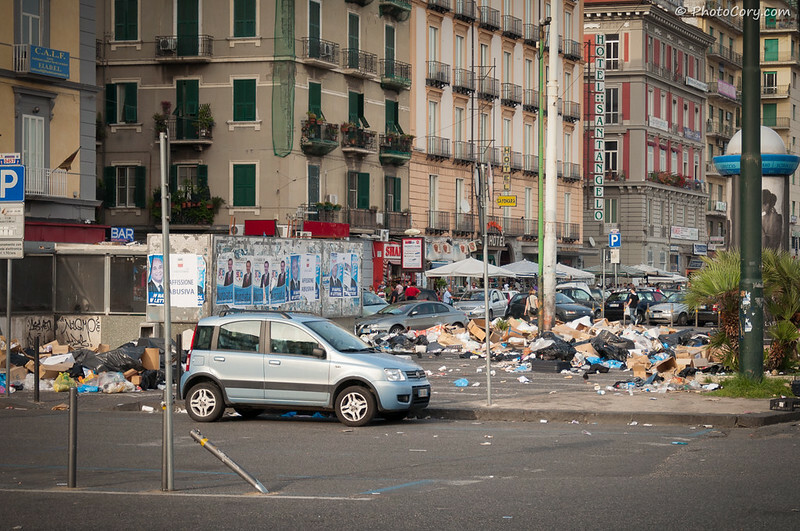 yes, especially around the train station there are piles of garbage, I was shocked when I passed by with the bus.. It was quite an experience! Fabulous set! 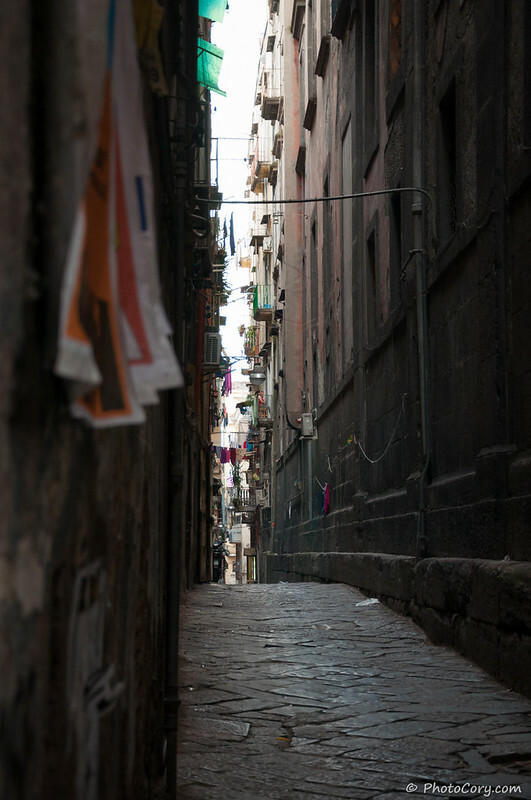 I have experienced a whole lot of Napoli; thanks for sharing. See you! 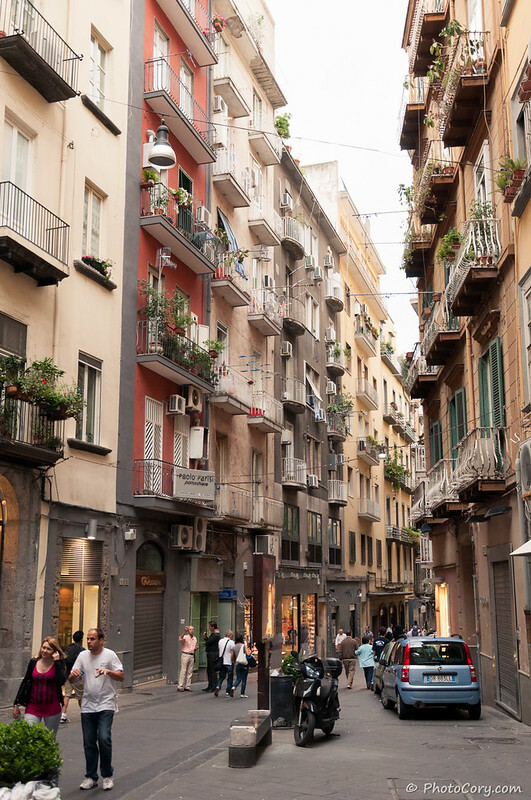 Another Italian city for my list! 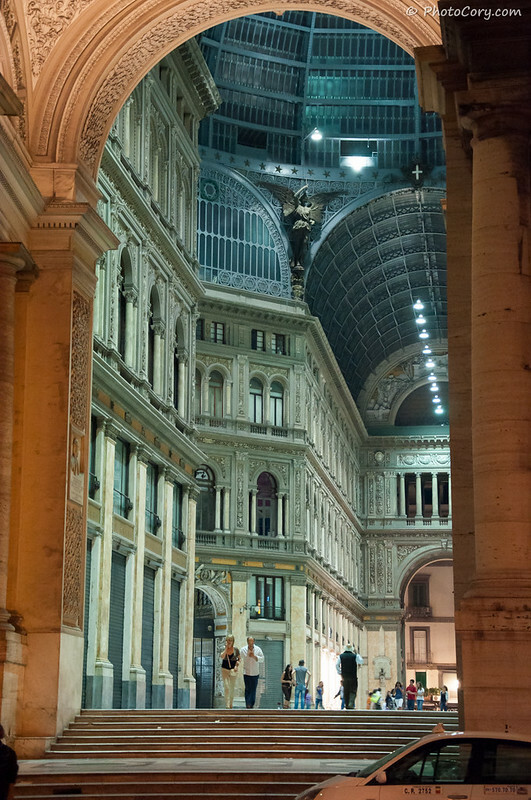 I love Italy and your great pictures, especially the “Stock House” one! What a great angle! 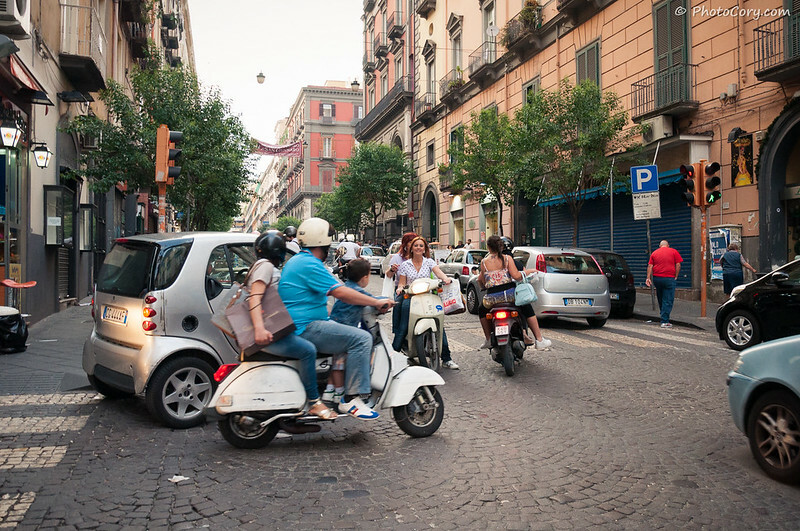 It is the 4th picture from the top, the one with the guy on the motorcycle. Your pictures made me remember the movie Eat,Pray,love !!! Beautiful capture, it gave a feel I’m on those streets 🙂 Thanks for sharing !!! Hi! Thanks! 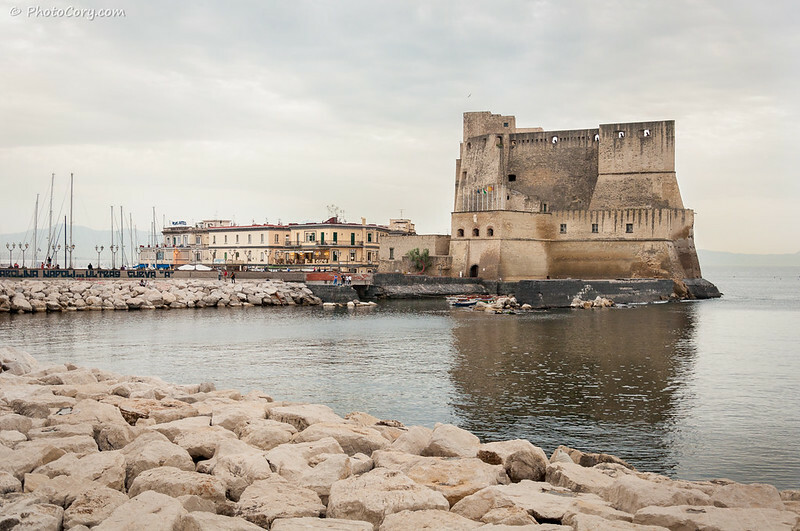 I read the book Eat, Pray, Love recently and I loved the part when she was in Italy and how they ate pizza in Napoli! Such a charming city! Jesus ! You have got so many mind-blowing images 🙂 Do you use one lens or multiple ? Traffic used to be a nightmare, crossing the road could almost be an end of life situation, they didn’t seem to have any rules about who stops or which vehicles give way and to what has it improved?